The price of the Felco pruners might scare of the average gardener, but in the Felco pruner reviews we show you that you get what you pay for and these pruners are no exception to that rule. Highly recommended by professional landscapers. The advantage of the Felco pruners brand is that all parts can be replaces. This will safe money in the long run. Made in Switzerland and we know that thy make quality knifes. The Felco F-2 classic hand pruner is great for light work. The blades are made of a good quality hardened steel. The handles are made from light weight material but that does not seem to make a difference. One thing I read was that a professional gardener gave them to his crew to use as a standard pruner. with 86% 5 star, 6% 4 star and 4% 3 star ratings from over 310 buyers. I think we can say that this Felco-2 hand pruner earned some respect from gardeners. It might be an exception, but on person wrote that he had the same pair for over 30 years. This model get a lot of good reviews from people with large hands. With smaller hands it is better to find an other one. The number 6 is better if you have smaller hands. “The bottom line is that they work really, really well for years, even without sharpening. Their scissors action is much better than the anvil style. This F-2 model is the most general purpose design and I use it on virtually everything. The Felco F-6 gets a lot of good ratings from people with smaller hands about the fact that they don’t have to use so much force and their hands do not hurt so much after pruning for a while. With a 4.8 rating from over 155 people who really use this pruner there is not too much for us to add to that. Someone mentioned that this F-6 does the same as the F-2 but with a little less effort. Reason that they are more comfortable is that the handles are closer together compared to the larger pruners. Sharp is on of the words we read a lot and to be careful not to cut yourself. 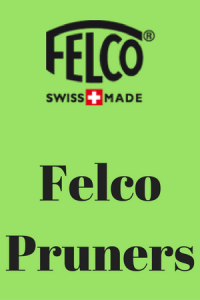 Our opinion is less important than the florist that wrote that he had used other types first, because of the slightly higher price, but now bought the Felco F-8 and will not use any other anymore. This means that professionals use them and I think that is the best recommendation you can get. Some older people mentioned that their hands did not feel painful after using them all day. This means that the ergonomic design must work. The price might be a little high, but the quality will makes them last for many years. I read that most people do not even oil or clean them anymore. This holster for the Felco pruners works great. The leather is a very good quality and the stitches are very strong. The belt clip fits most belts, but not if you have a extra wide belt. The leather is stiff at first, but with some leather or salad oil it becomes softer. It will form to your pruner after using it for a while and that makes it very easy to use. One user mentioned that he does not use the latch anymore, but that the holster keeps his pruner closed. He says that safes on opening and closing the latch all the time. To keep your pruner in a good shape and easy to find while you are working in the yard I think this is a great extra to use with you Felco pruner. 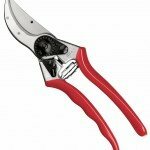 There are many more Felco pruners available. 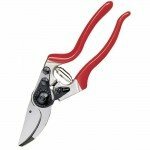 We can fill a whole website with these quality pruners. If the Felco pruners we reviewed here are not the ones you are looking for then here is a link to all the Felco pruners on Amazon.